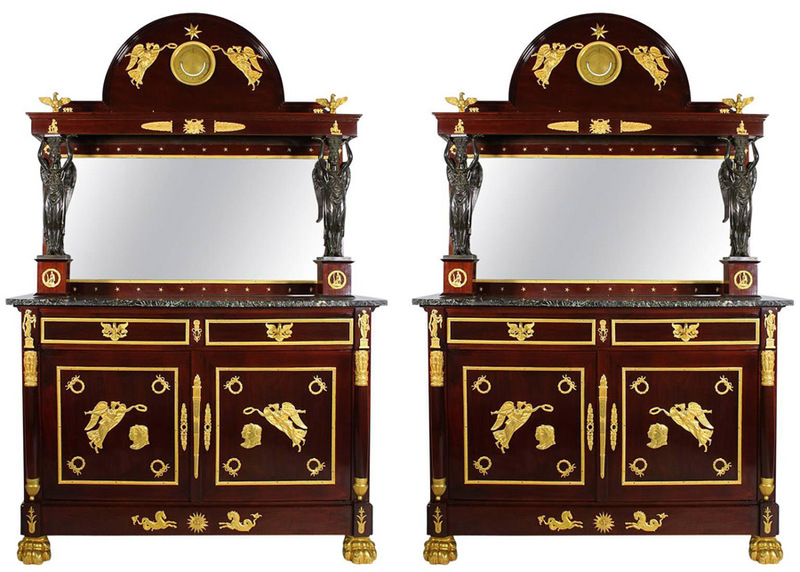 An Impressive Pair of Napoleon III Empire Revival Mahogany, Gilt-Bronze and Patinated-Bronze Mounted Servers, After Pierre-Philippe Thomire (1751–1843), each cabinet surmounted with a pair of winged maidens on mahogany stands mounted with Napoleonic plaques, the frieze centered with a plaque of Medusa flanked by laurels above a green marble top. 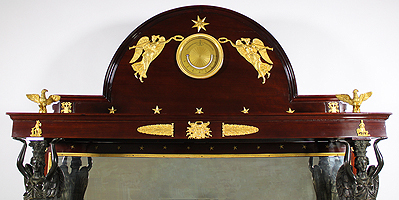 The splash backing with a framed mirror decorated with gilt-bronze stars. 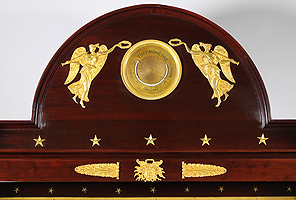 The domed top centered with a circular ormolu thermometer plaque surmounted with a pair of allegorical gilt-bronze winged maidens holding wreaths above a shelf surmounted with a pair of eagles. 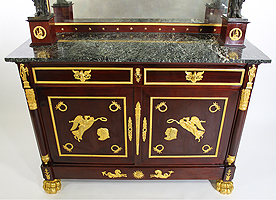 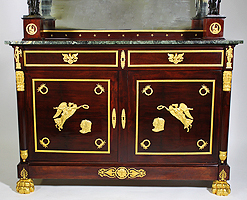 The lower cabinet with a pair of drawers with swan ormolu handles above a pair of storage doors with winged crowning maidens with trumpets and profiles of the Emperor Napoleon, all raised lion-paw. 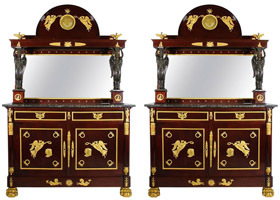 Circa: 1870. 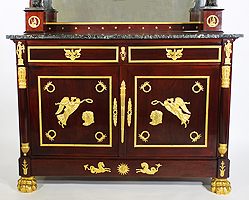 Please click here to view a matching larger credenza being offered separately.